The latest statistics from the Ministry of Internal Affairs and Communications confirms that the number of rental property vacancies is growing. Nationwide there are some 17.7 million rental units, of which about 4.1 million are unoccupied. That’s a vacancy rate of 23 percent. In Tokyo things aren’t quite as bad, but they’re bad enough if you’re a landlord. The vacancy rate in the capital district is about 16 percent. The highest vacancy rate in the country is in Fukui Prefecture, where it’s a whopping 44 percent. (Fukui’s neighbor, Toyama Prefecture, is famous for having the highest percentage of home ownership in Japan). You don’t have to be Paul Krugman to understand the reason. The population is dropping and there’s a glut of properties, but as one consultant recently told the Asahi Shimbun the statistics may have a chilling effect on investment. Lately, realtors and developers have been pushing people with money to buy rental properties as an investment since interest rates have been impossible low for more than a decade. But without the promise of tenants such investments won’t provide much in the way of returns. People with money are going to have to find something else to do with it. Thank you for the always interesting articles. I’m curious where you do your research and get statistics such as those shown here. Is it possible to provide citations? 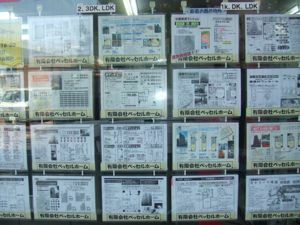 Most of the information in these articles are just taken from Japanese newspapers, meaning they’re pretty much available to anyone who can read Japanese.